Here are a few more images from my late morning at Huntley Meadows. For the image above, I loved the texture in the feathers and the muddy water that was accentuated by the low-angle winter light. 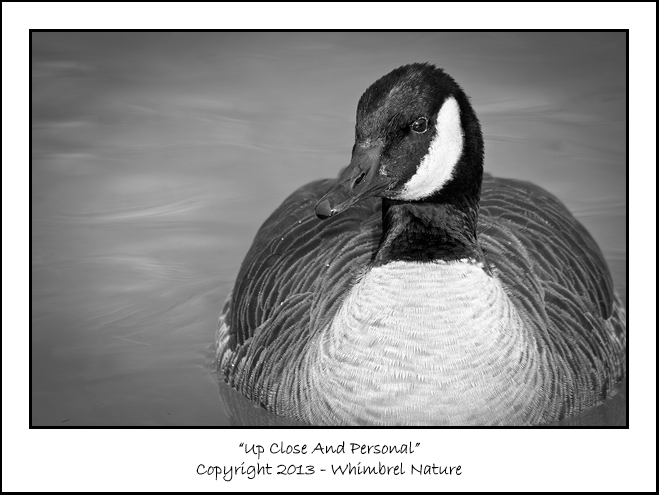 I felt that the black and white treatment did justice to those textures, without the distracting influence of the color. It also allowed me to put a bit more of a vignette than I'd usually use on a color image, drawing the viewer's eye more towards the main subject and the lovely swirls in the water and keeping the viewer's eye within the frame better. 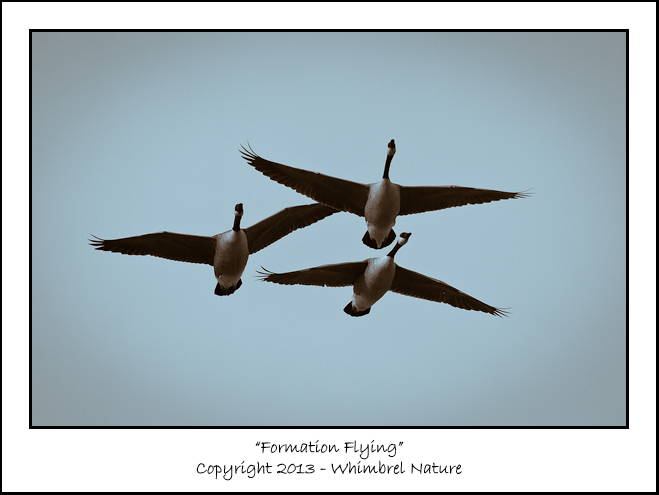 For this image, I was fascinated by the formation of these geese. It looks like they are all emanating outward from the same point. In fact, in the frame before this, two of the geese came close to colliding (a cocked neck made all the difference). The formation looks almost marshal or military. By giving it a split-toned black and white effect, I felt it almost looks like an antique, faded, color photograph, rather than a black and white. Again, I put much more of a vignette on this one than I normally would. In addition to keeping the viewers eye in the center, I feel it adds to the antique feel, particularly in this case with brownish coloration due to the split-toning. I'll have some more images up later this week. Happy Monday! Elijah, the first image wows me because of the simplicity and the rich textures. The second image draws my attention to the bird's flight poses and the wings. Great photos! The detail in the first Canada Goose picture is amazing.